This Lobster wooden wall plaque is hand made in the USA. . This sea creature makes the perfect coastal decorative accent. 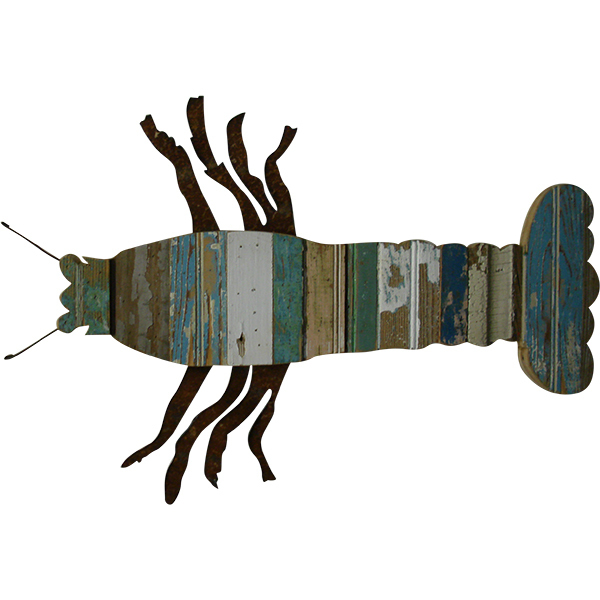 This lobster is wonderfully rustic, with all of the natural wood grain and imperfections adding to the patina. Up -cycled from re purposed barn wood in hues of blue and green. This is a totally unique item no two the same. This lobster is environmentally friendly. The wire hanger on the back is also recycled and makes hanging simple. found in coastal homes throughout the world. Our Lobsters are made from reclaimed barn wood.